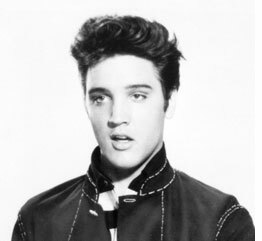 If you haven’t lived under a rock since you were born I am guessing you know who Elvis Presley was. So let’s just move on to a few of my favourite pearls of wisdom from the King of Rock ‘n' Roll. 1. Put a stop to the downward spiral. As humans we always have a choice. We can interpret the reality around us as we choose. Two people may have the same things happen in their lives. One becomes negative and apathetic. The other one chooses to see what happened as an opportunity. Now, I admit, it’s not always easy to not react negatively to things that happen. But what you do after that initial reaction – go down a downward spiral or look for what you can use – is in my experience something you can have a large control over. There may however be some inner resistance to do so. Complaining and falling into a victim role can protect you from having to take chances and to avoid doing some hard work. It can also – for a while at least – get you the attention, comfort and validation from other people. But in the long run it keeps you trapped right where you are. Ask yourself better questions. I write about this quite a bit. That’s because it has worked very well for me. Asking myself questions like: “What’s awesome about this situation?” and “Where is the hidden opportunity in this situation?” helps me to reframe what happened and I can pretty much always come up with some good answers that helps me to start taking action towards positive results. Sure, sometimes I don’t feel like asking the questions. Then I just do it anyway. Just because I don’t feel like it doesn’t mean that I can’t do it. Understand yourself. Understand the patterns in your mind. Think back to your past and understand where the patterns lead and why you are using them. Whenever you find yourself in some difficult situation say to yourself that you will not take a negative path because you already know where it leads. Then tell yourself that you instead will ask useful questions, make a plan or something that will help you. You can read more about adopting a positive attitude in 8 Awesome Reasons to Blast Negativity Out of Your Life, and How to Do It. It’s easy to fall into the trap of criticizing things because, well, you feel like it’s wrong. But do you really understand what you are criticising? From my own experience I have found that one tends to become less critical of things when you have experienced it for yourself and have an understanding. Instead of just knowledge about it. It’s easy to be the armchair general, knowing what is always right. Especially in hindsight. It makes you feel good and like you are right. But in the end the credit does not belong to this person. It belongs to the person who is out there actually doing things. Although I write a lot about positive thinking and how it can be very helpful there is also the risk of overdoing it. So be a bit careful so you don’t get trapped in a bubble of positivity. The bubble of positivity is when you lie in your bed going “LA-LA-LA-LA-LA!”. While your bed is on fire. Don’t use positivity to repress and stop thinking about real, practical challenges in your life. If you are having real problems with money, relationships, work etc. don’t repress them with positive thinking until everything spirals out of control and comes crashing down on you like 30 story building. It’s always better to try and deal with a problem in the early stages. So be positive, but use common sense. Face the truth but see it through a positive lens that allows you to take action – like described in the first section of this article – instead of getting stuck in a sad funk. I love the part about finding the balance between being positive and having common sense. You’re right. It’s not about suppressing our pain. It’s about trying to see the positive in the midst of it all. Great reading! That’s a rule for living in itself! Interesting post. Who knew one could draw positive living advice from Elvis Presley. LOL. I really enjoyed #2. It’s a wonderful lesson to learn the importance of not judging what you don’t understand. I am a HUGE Elvis fan. Have appeared as him several times in fact. But his life contradicted all three pearls of wisdom. He couldn’t face the truth people told him, and continued in a huge, deadly downward spiral. Other than this, I love the blog, subscribe, and have linked to it. Be well! i agree that it helps asking yourself questions about a situation focusing on what good is coming from it. I need to get some elvis music and see how i like it. I think this means that usually there is more behind a situation that what can be seen. There are tons of factors that can influence somebody’s actions at any moment and just judging from outside doesn’t let you see all that there is to be seen. i am regular reader and i am totally agree with quote that truth is like sun. if some one who he telling lie will feel heat of sun when truth will come in front of him and the same truth will show path to person who is true man.